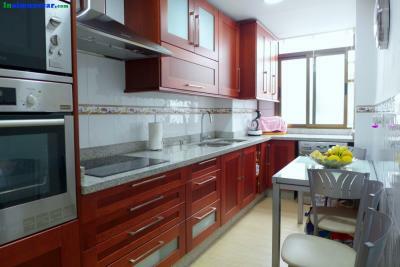 Lovely apartment for sale in the centre of Almuñécar. It consists of three bedrooms with spacious closets and a nice modern bathroom with shower. Elegant kitchen and living room. The property has been completely renovated (electricity and water) and is sold with dining room furniture, kitchen and bathroom. It is located in the town centre, close to shops and the beach. Contact INALMUNECAR to visit the property.